Five chocolate buttons were the undoing of her. There, on the saucer adjacent to her empty mug sat the five caramel filled white chocolate covered buttons. The child watched the door for Mothers return. A hand slithered surreptitiously towards the willow patterned saucer and grabbed. The woman snatched and stuffed them into her dribbling maw. A cacophony followed, the child shrieked, her Mother pointed … police were called. 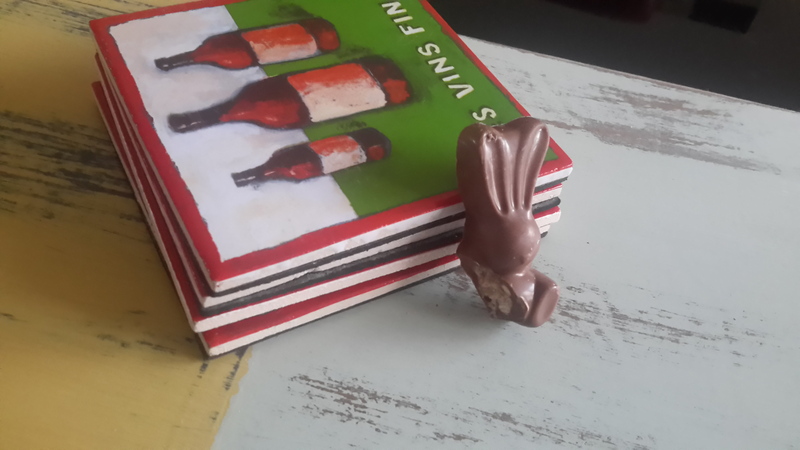 Because of those innocuous chocolate delicacies … she finds herself in the Church hall attending addicts anonymous. Gingerly she stood screwing her finger round a tail of escaped hair, “My name is Josy” she lied; they all did, “I am addicted to … she mumbled … dregs.” Her cheeks took on a shade of beetroot. “I have to eat or drink what others leave.” You could hear a fly attempting to kill its self against the Gothic Window, bump, bump it went. Her breathy speak and wet palms were proof of her struggle. Tom the resident peeper began the rousing clap, congratulating Josy for managing to admit the shameful addiction, the first step is always the most difficult. At the end of the share session, they mingled over tea and chocolate covered hobnobs. She didn’t accept a cup or plate. Tom thought it was her resistance technique. So quietly he lay his palm on her shoulder and nodded. Josy, startled, shrugged him away and scowled. People eventually said their goodbyes and drifted off. Except for one … Josy, she hid behind a pillar until they had gone. The weekly rag ran with the headlines … Local woman detained for psychiatric assessment, The lady who so far remains unnamed had to be forcibly restrained after being found under a table in the Church of Mary and Saint Ethlereds hall. Beside her, saliva smeared plates and cups scattered willy-nilly across the newly laid oak floor. The distraught rector had to be sedated at the scene. Through his sobs, he told of being unceremoniously grabbed by the leg; pulled beneath trestles and forced to endure such an abomination. “She was sucking on my fingers licking my palms for the longest time; it was awful.” He cried. The Jane Doe was held under section 136 of the mental health act for 72 hours to be assessed as to her competency to stand trial, this being her second arrest in as many weeks. I love to hear your thoughts, it helps me hone my craft. Play along, tell me in the comments what other fabricated addictions could the people have … in this church hall. A little piece of sustenance, Chocolate for in case. I take no credit for this tiny film, I couldn’t leave it where I found it please read and let me know how it made you feel. Thank you. And most of all thank you Francine. Thank you in advance to dream big dream often for sharing this post so hopefully more visitors watch this 4 minute story which is going to alter your day press Here to promote a post of your own. Thank you. I came across an extraordinary thing. It was the love of humanity.